Visit the Cold Spring Orchard farmstand where you can find a wide selection of fruit for sale including many of the apples listed below. Akane is a cross between the well-known Jonathon and the obscure Worcester Pearmin. Akane comes highly recommended as a dessert apple, with an invigorating, tart taste and a marked aroma. Beneath its thin skin, the bright white flesh is juicy and crisp. If you leave the peels on, Akane will make a pinkish sauce with a very good flavor; strain the sauce after cooking. pie slices keep their shape. The apples can be dried successfully. Akane will not keep its quality for long in storage. The thick, tearing, skin is on the juicy side. Baldwin's yellow flesh is crisp, coarse and juicy, with a spicy character that recommends it as a cider apple and for pies. These apple keep extremely well in storage. 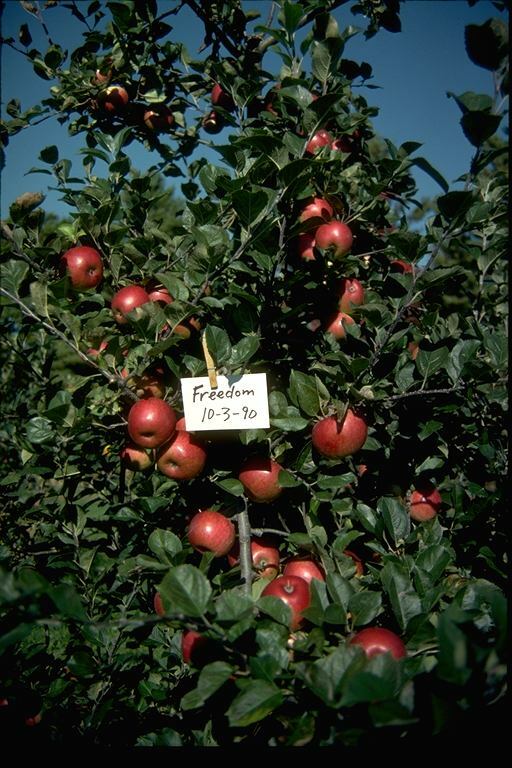 Braeburn is a chance seedling from New Zealand's South Island, introduced in 1952. Uncut, Braeburn may have a faintly cidery perfume. The skin is thin and seems to disappear in the mouth. The flesh is yellow-green to creamy yellow, breaking and crisp in texture. Braeburn offers a complex, sweet tart flavor, with a noticeably aromatic aftertaste. When cooked, Braeburn turns simpler but doesn't go flat. As sauce it needs little or nothing in the way of added sweetening. Braeburn also keeps well in storage. Cortland is a child of McIntosh and Ben Davis. It was an early success of the New York Experiment Station, which made the cross in 1998. Cortland is larger than McIntosh. The thin tearing skin reveals crisp paper white flesh. The flavor is tart and tangy, but not emphatically so, and juicy to the point of messiness. In short, Cortland comes across as friendly; it's not a complex variety that will flood your sense gates, but it makes a good apple to accompany your sandwich. Or try it in pies and sauces. Cortland is suited for fruit salads because slices are usually slow to brown, although and all-Cortland cider is apt to look watery. This cross between the best-selling red varieties Red Delicious and Mcintosh was introduced in 1966. Empire has proved superior to the parent it most resembles, Mac, in redness, flavor and post-harvest life. Nor surprisingly, Empire has caught on with both the growers and the apple-eating public. The creamy white flesh is crisp and juicy. Right off the tree, Empire is an excellent choice for eating out of hand if you like a loud, snapping apple that's sweeter than it is tart. 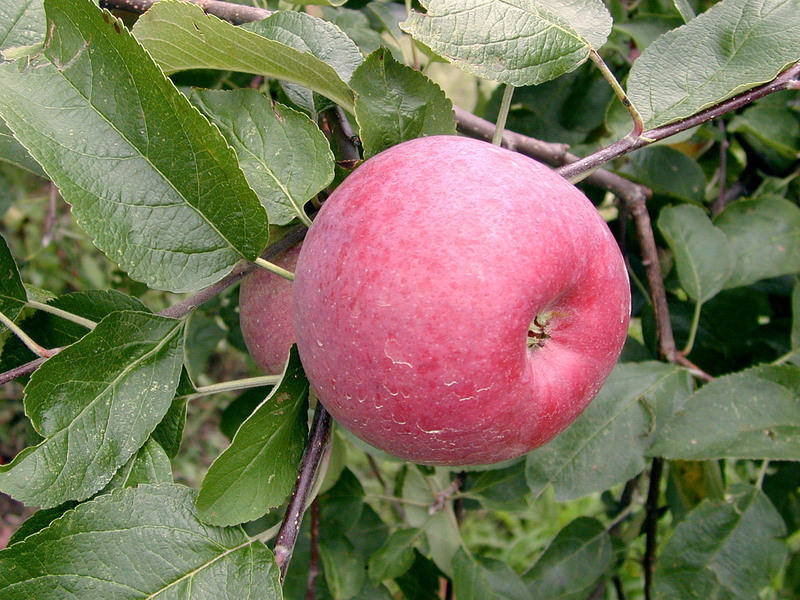 Empires are frequently added to cider blends and can be used for cooking. In storage these apples keep their quality well. 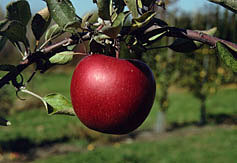 Fuji was developed from American parents, Ralls Janet and Red Delicious. Not a particularly gorgeous variety, it signals the reemergence of taste and texture as the main reasons for growing an apple. The cream-colored , firm, fine-grained flesh seems something special from the first bite, as it fills the mouth with sweetness and juice. In taste tests Fuji consistently scores at or near the top, and among late-maturing varieties it is a standout. Gala is a strikingly attractive apple. The bright yellow skin is finely stippled with red, as if airbrushed , and the result is a near - neon intensity. Gala was developed in New Zealand by J.H. Kidd, crossing Golden Delicious and his own Kidd's Orange Red. The pale, creamy flesh is crisp and dense, with a mild, sweet flavor and good aroma. The fruit is not large, but medium in size. In taste tests, Gala easily outscores McIntosh and is considered more sprightly than Golden Delicious. When cooked, Gala strikes some people as bland, but it can be dried with good results. 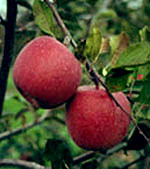 Gala is also used in many cider blends. This apple stores well when refrigerated. A chance of nature, Ginger Gold seems to be a cross between Golden Delicious and Pippin. This apple has a spicy sweet flavor with a firm white texture. Ginger Gold's are an excellent dessert apple and are too precious a commodity to use for cooking. Ginger Gold stores well when refrigerated. 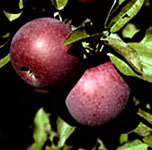 Golden Delicious began as a chance seedling, perhaps of Grimes Golden , on a farmer's hillside near Bomont, West Virginia. 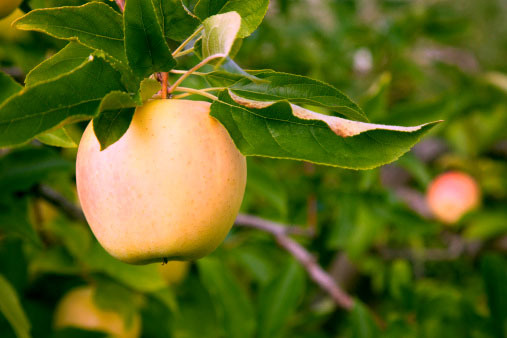 Golden Delicious is not related to the red variety of that name. This is a very easy apple to like. The skin is thin; the flesh, firm and crisp and juicy. Flavor and aroma are unmistakable, without being particularly assertive. Even the shape is somewhat agreeable: large, tall and conical. Golden Delicious strikes some cooks as too timid for the kitchen, but it can be used for pies and sauce with little or no sugar. 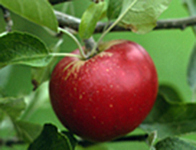 Its distinctive aroma carries over into cider. 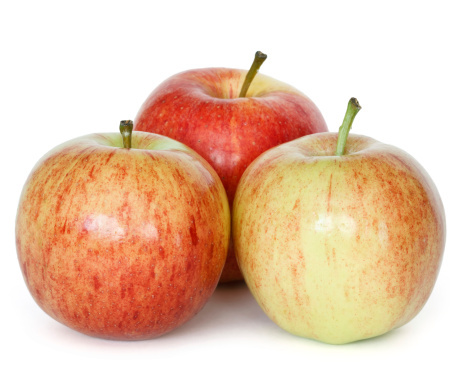 Golden Delicious should store well if refrigerated but the skin will shrivel if kept at room temperature.